It is very much like a tablet by Apple Company for those who would like to enjoy the fun activities along with book reading on an easy portable device. Its splendid touch screen display has made it more popular among the users. With iPad1 you can remain in contact with your friends by using internet facility to respond e-mails and also can do browsing on it. The wide touch screen is of 9.7 inches that is why it weighs 730 grams. To jailbreak its iOS5.1.1 follows the steps of instructions given below. Before this it is necessary to make a backup in order to avoid any untoward situation. Now unzip the folder to extract the archive. 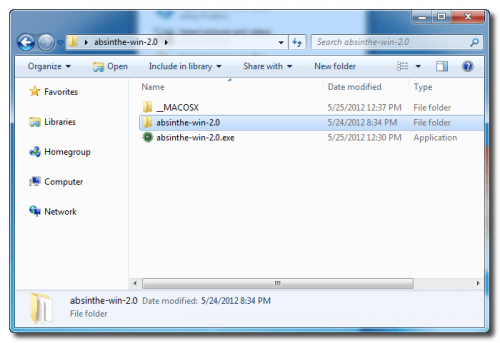 From the folder just unzipped make a double click on the absinthe win 2.0 exe file. 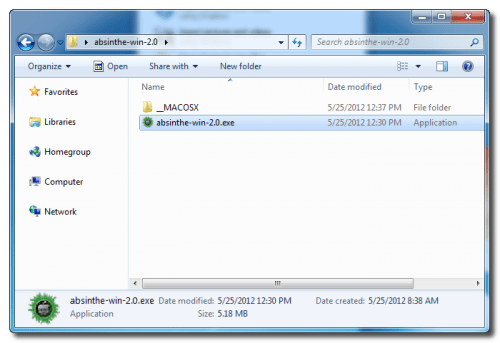 Thus a new folder with the name of Absinthe-win-2.0 would be created. 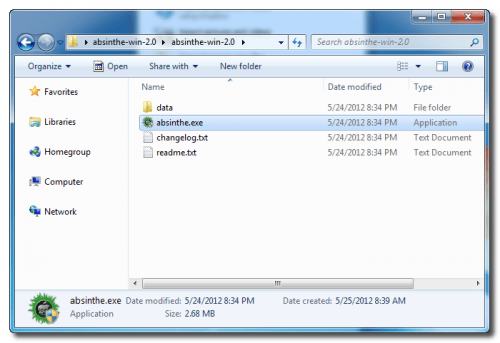 To launch absinthe win 2.0 you have to open this newly created folder. Now connect iPad1 with the computer by using USB and remove passwords and settings, if nay. Click on the Jailbreak button to start it. Numerous steps would take place to get this process complete. Sending of initial Jailbreak Data is taking place. On Completion of Jailbreak intimation is generated. ***If finds any problem kindly repeat the process on ipad1 restored to iOS5.1.1 and always creates a backup before initiating this process. 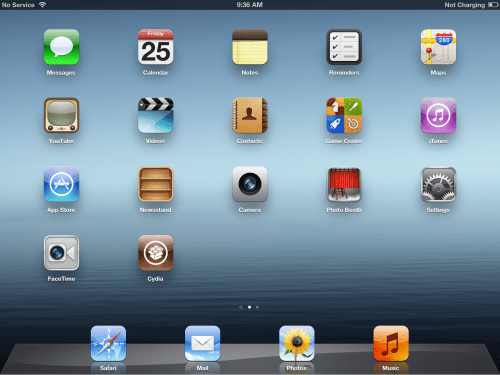 This entry was posted in Absinthe, iOS 5.1.1, iPad1, Jailbreak and tagged Absinthe, iOS5.1.1, ipad1, Jailbreak by Admin. Bookmark the permalink.